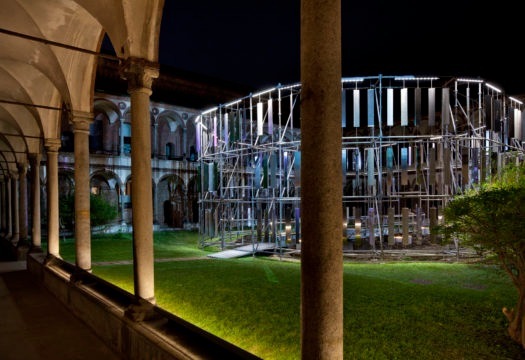 Material Immaterial, the theme chosen by Interni, is an invitation to explore the dual spirit of design: on the one hand, the universe of materials, the physical, concrete essence of design; on the other, the immaterial dimension of creation, starting with the thinking of designers, increasingly aided by digital technologies and influenced by virtual reality. 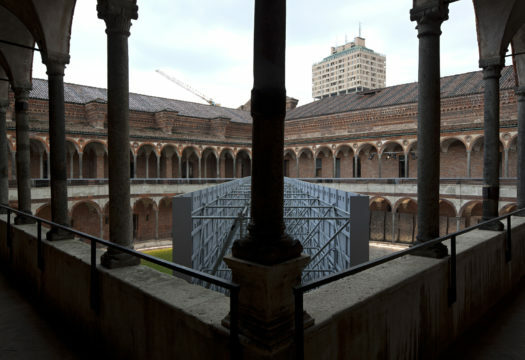 Photos by Matteo Cirenei and Saverio Lombardi Vallauri. 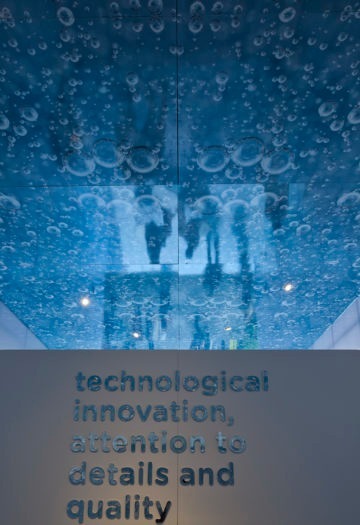 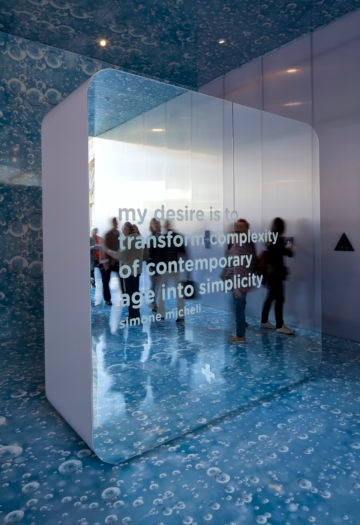 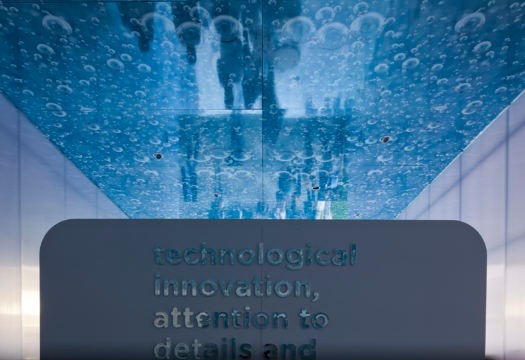 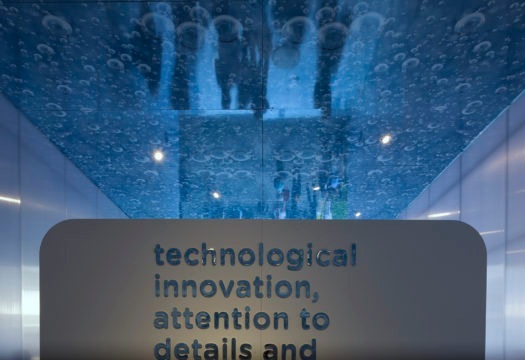 The exhibition Matrix explored human existence and the role of design in the information age. 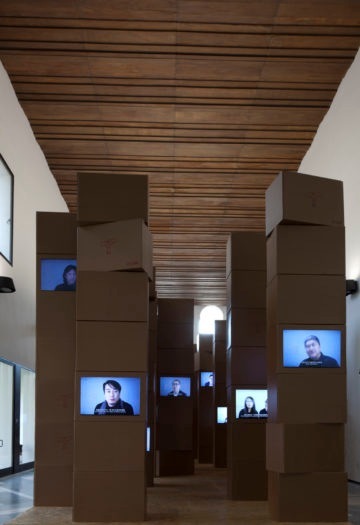 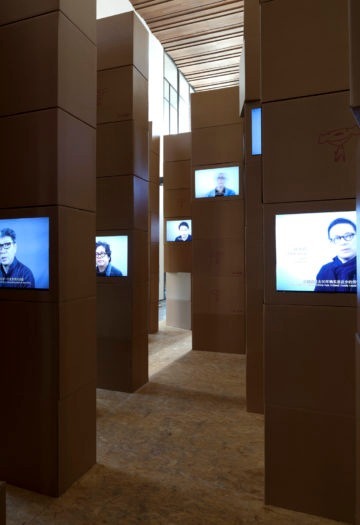 Yang Dongjiang narrated (through a labyrinthine landscape of towers made with packing crates and large monitors showing video images of projects, visions, spaces and forms of Chinese design) the idea that the contrast between material and immaterial does not exist. 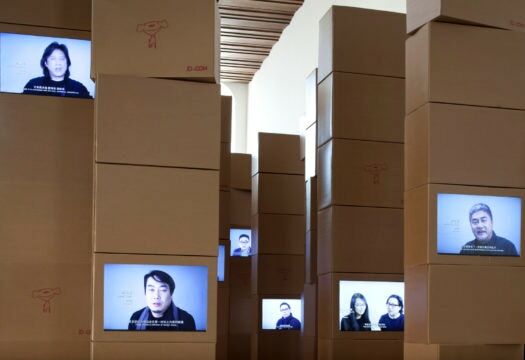 And that Chinese design today has to meet multiple challenges, because urban growth and mass information raise fundamental issues about human existence. 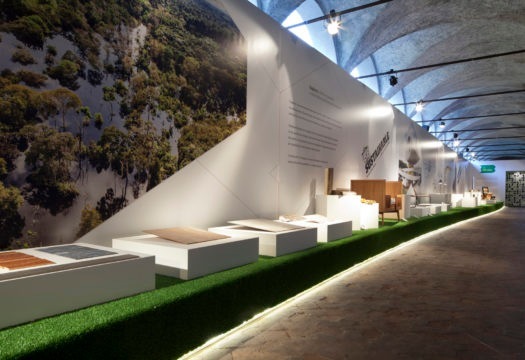 “The theme Material Immaterial is perfect to describe Brazilian design, because it lets you demonstrate the great variety of typical Brazilian materials and their immaterial values. 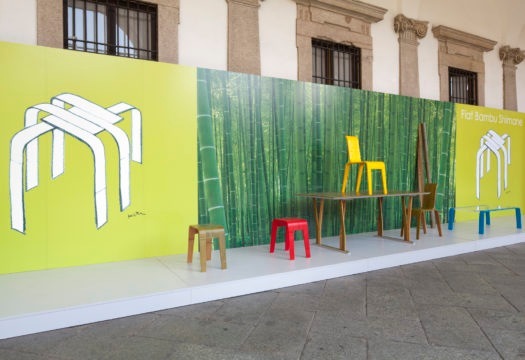 Brazilian design is variegated because our country is very large. 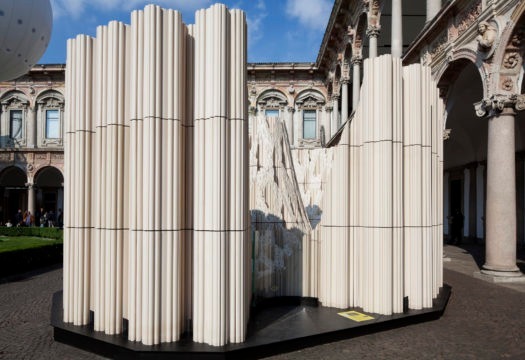 But there is one common characteristic: that natural beauty of materials like stone, wood and fibers, used in a pure way. 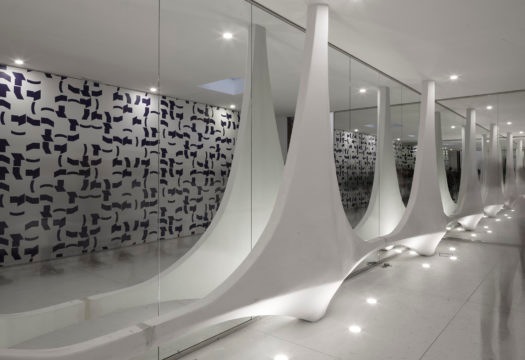 There is also one personality that represents us: Oscar Niemeyer, the great architect and master of Brazilian design, who designed our capital, Brasilia. 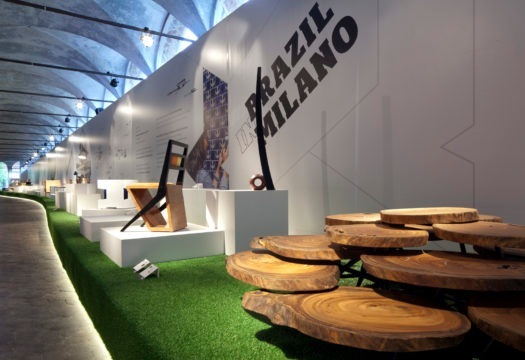 The aim of the exhibition is to shed light on Brazilian companies and to promote them thanks to the support of Apex-Brasil, the agency for the promotion of Brazilian exports”. 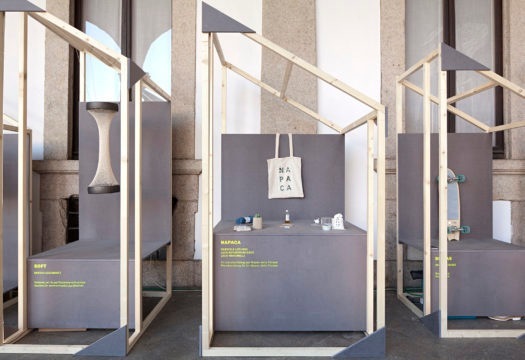 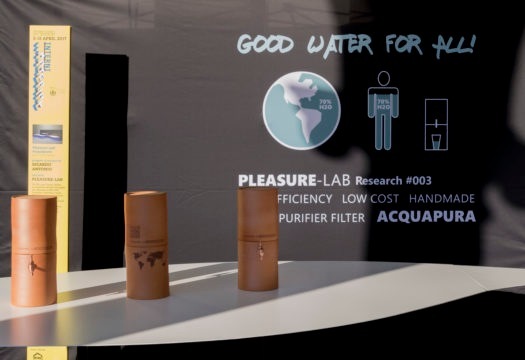 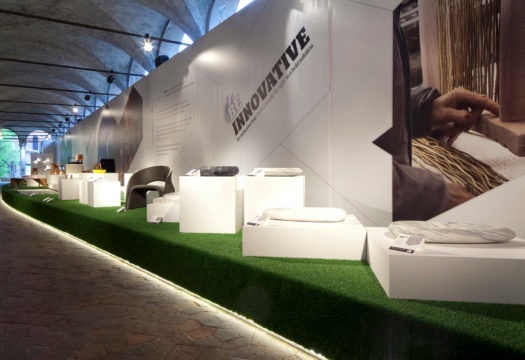 Urban Up – Unipol Projects Cities took part in the FuoriSalone with two initiatives that were presented in the context of Interni Material Immaterial: Urban Up – Milan Virtual Experience and Live the City. 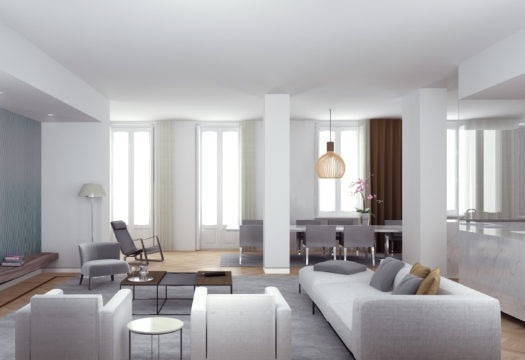 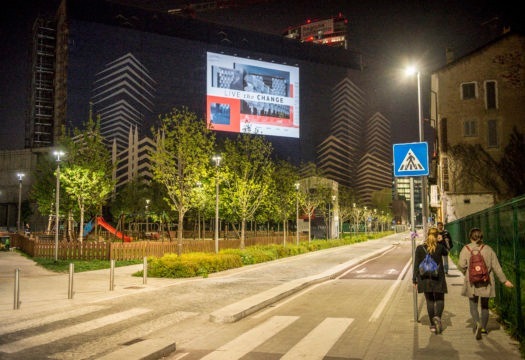 The first, at Ca’ Litta (Via Pantano 26), offered an evocative virtual reality experience to allow visitors to enter five major real estate projects of Gruppo Unipol in progress in Milan. 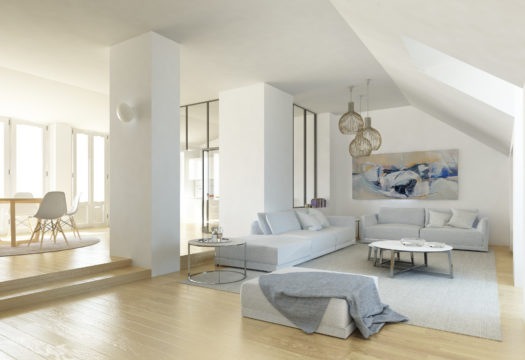 One of the projects is the Torre GalFa, the historic Milanese skyscraper from the 1950s, now undergoing an ambitious renovation project. 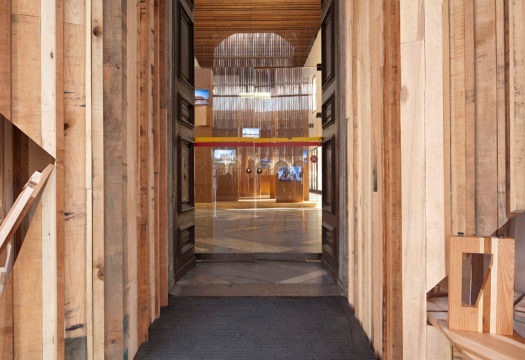 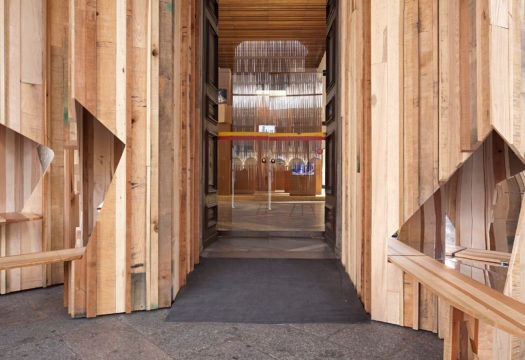 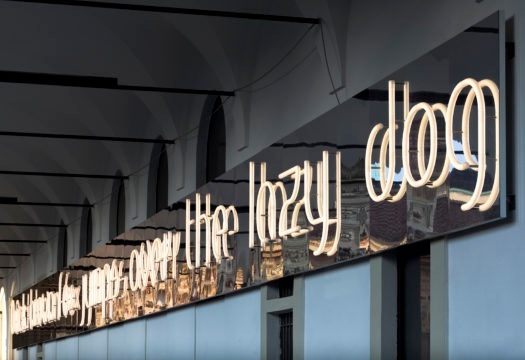 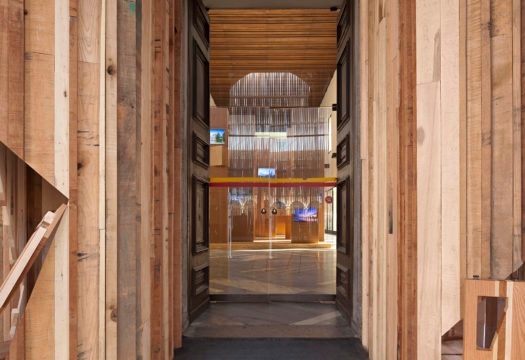 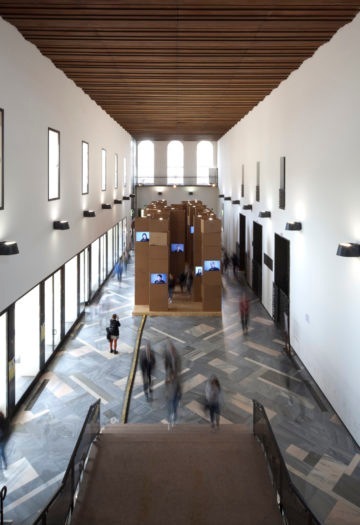 The second initiative, Live the City, took place at De Castillia 23, the building owned by Gruppo Unipol at Porta Nuova, whose renovation has been done by Progetto CMR. 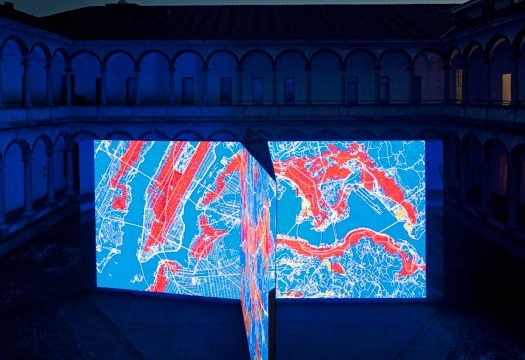 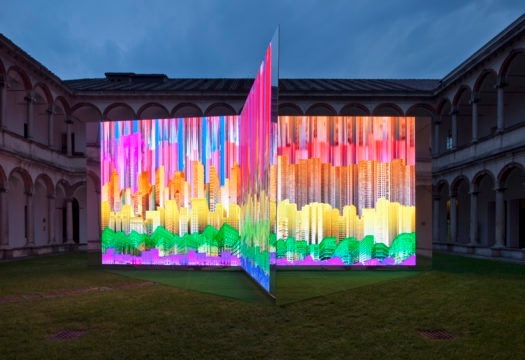 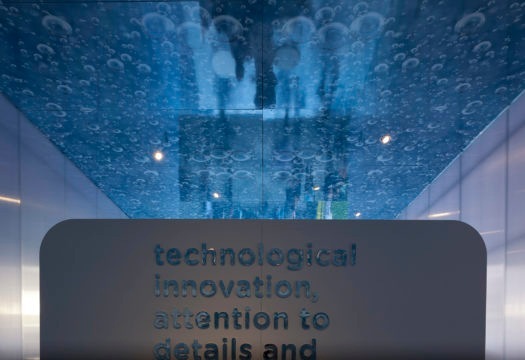 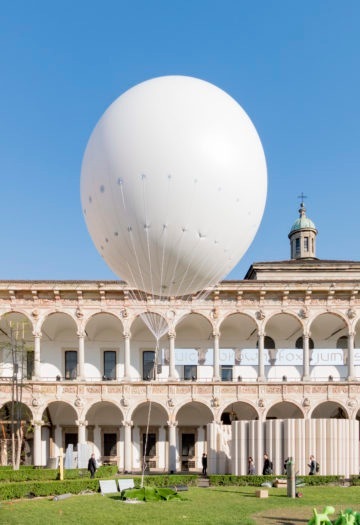 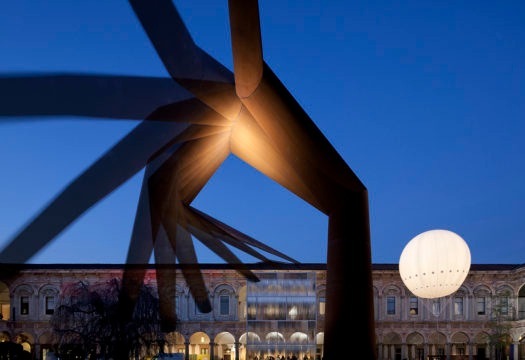 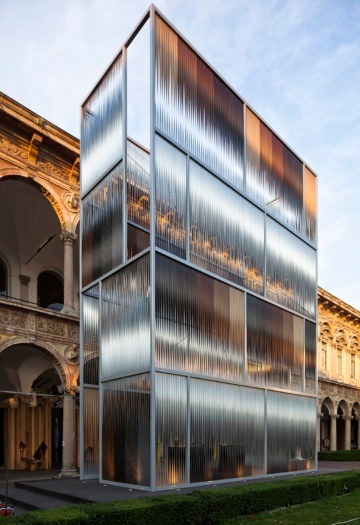 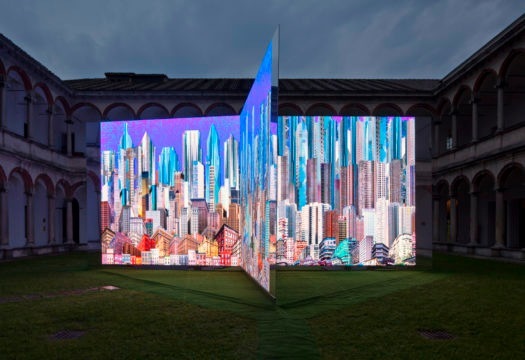 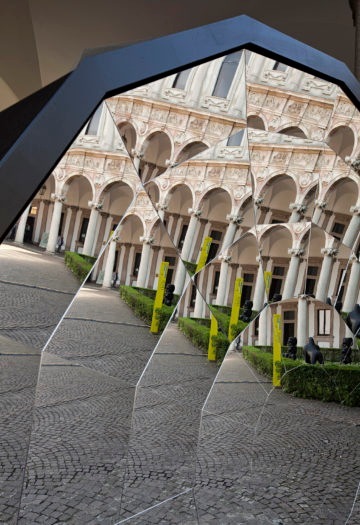 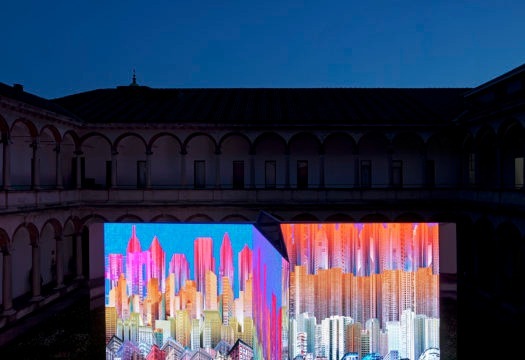 The building came alive in the evening during the FuoriSalone thanks to a giant scree, 26×19 m, displaying the video Live the City, specially prepared by Urban Up in collaboration with Interni. 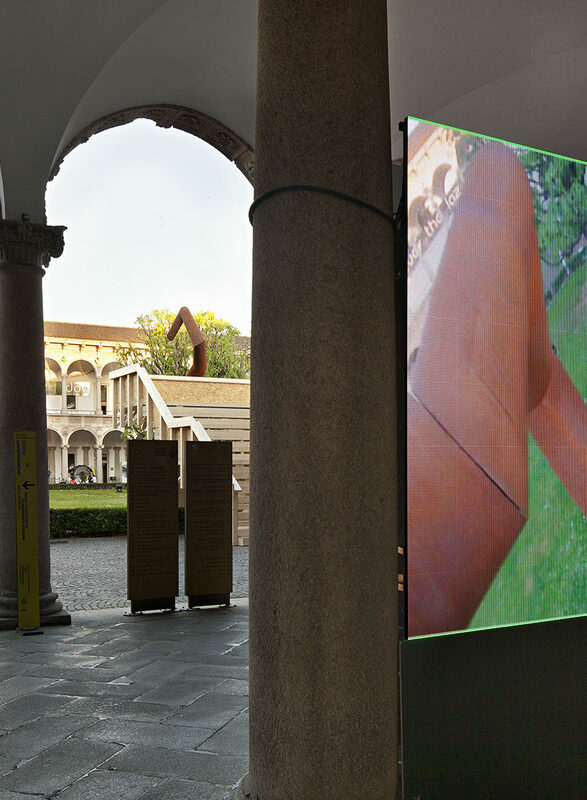 The video narrated the Material Immaterial theme and the Urban Up projects. 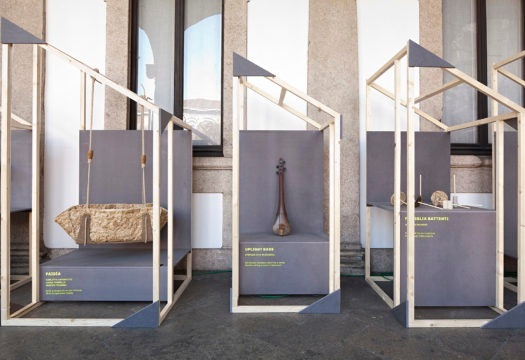 “Fabric-Action is part of the project Valnerina Experience, which promotes activities of research and development on the economic future of the areas recently damaged by the earthquake, through very concrete projects of material experimentation. 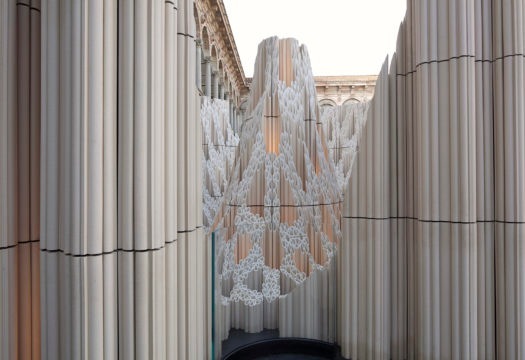 Fabric-Action gives a traditional material like hemp new meanings in relation to advanced digital fabrication and the world of makerspaces and open innovation. 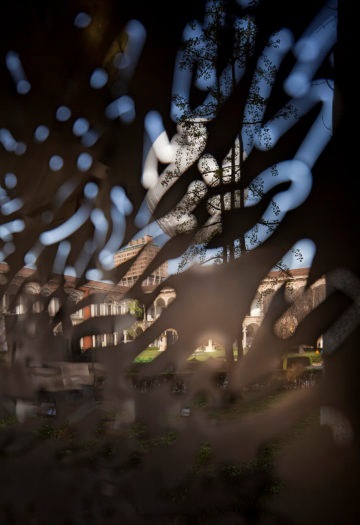 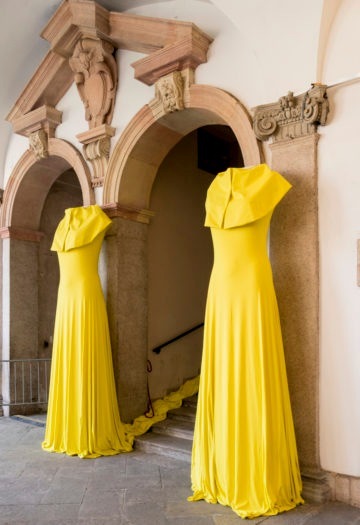 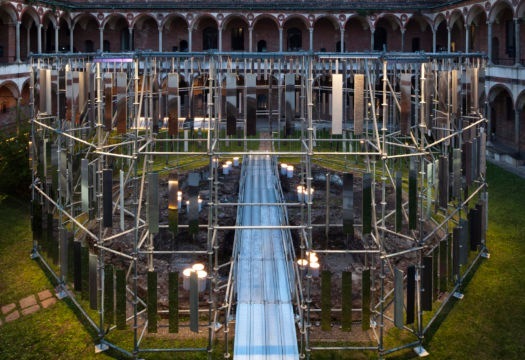 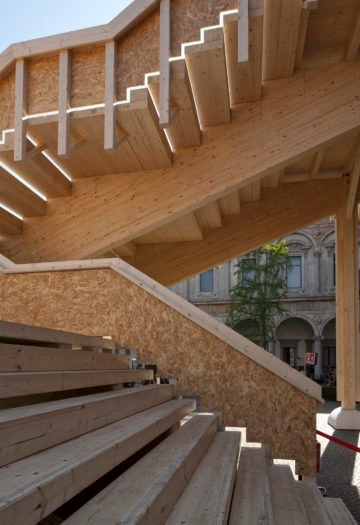 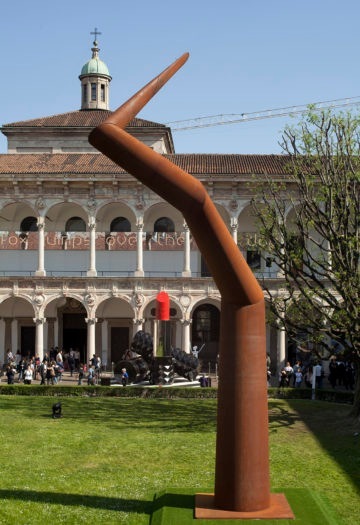 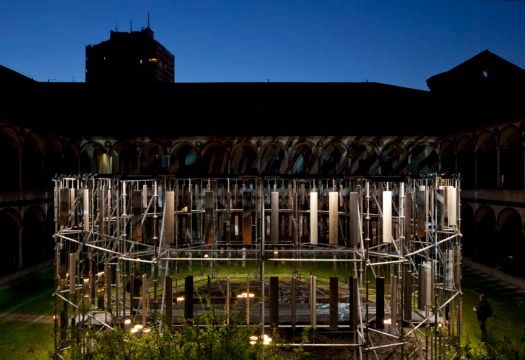 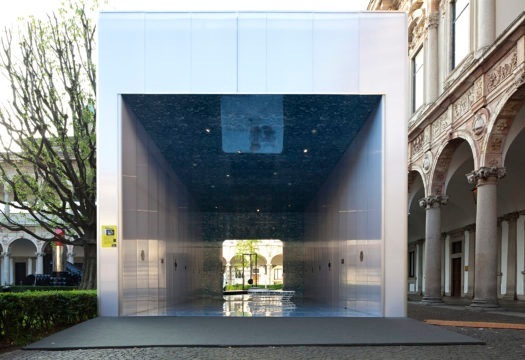 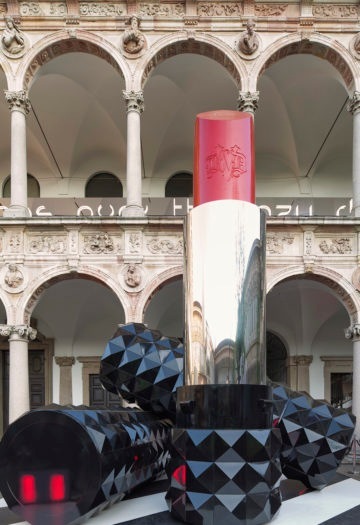 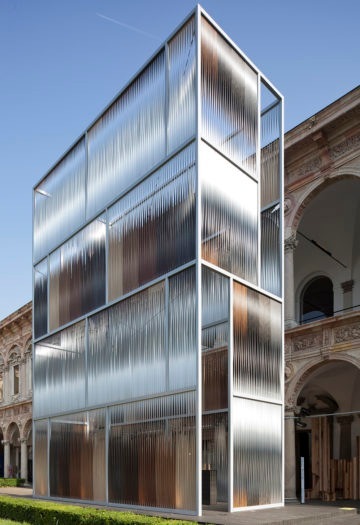 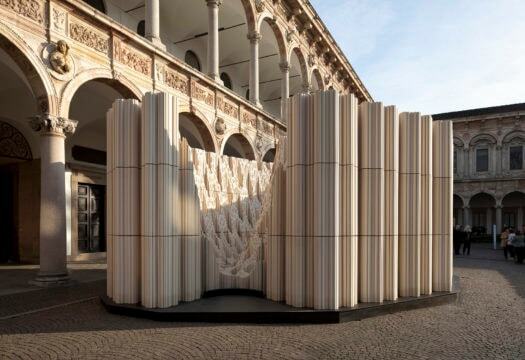 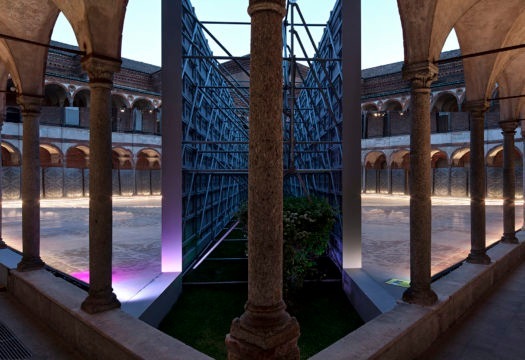 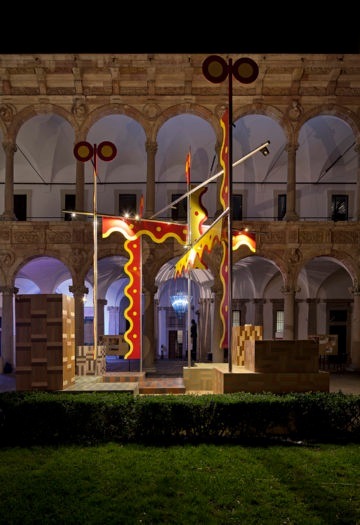 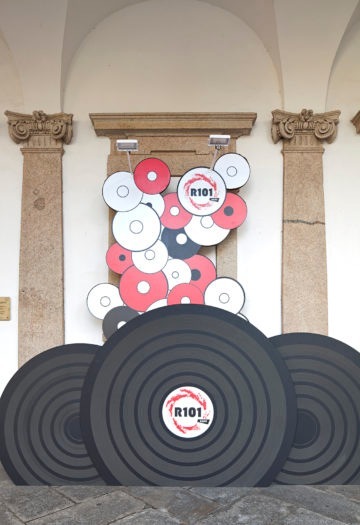 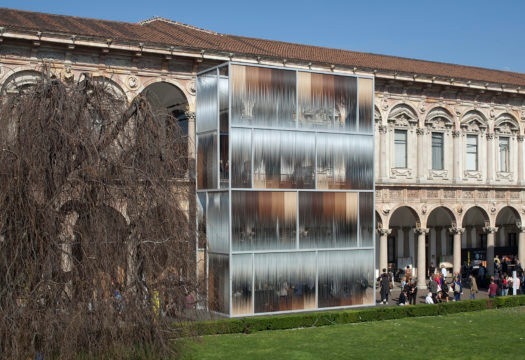 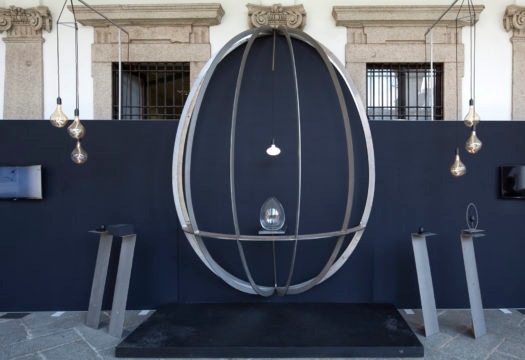 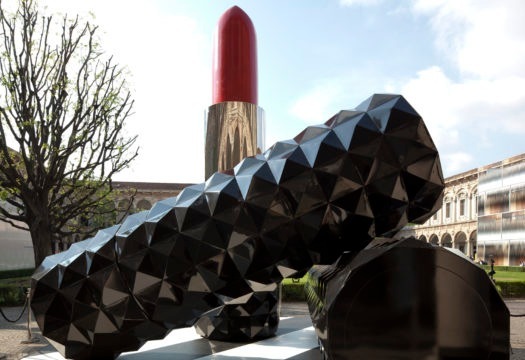 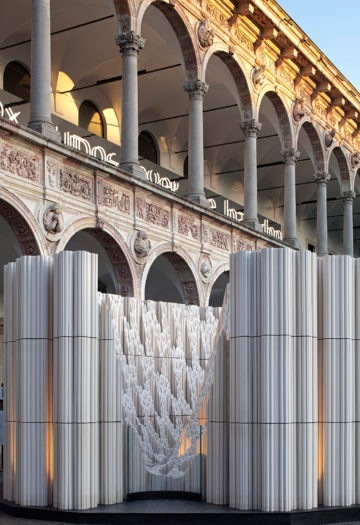 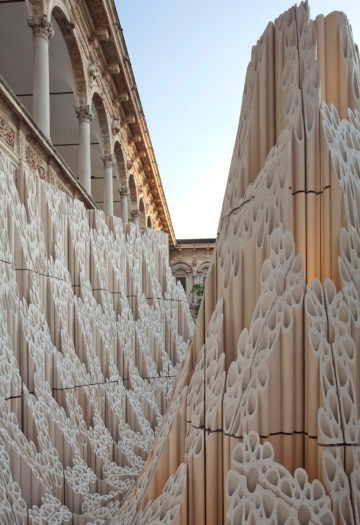 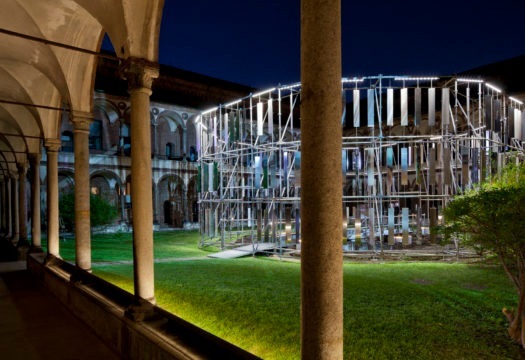 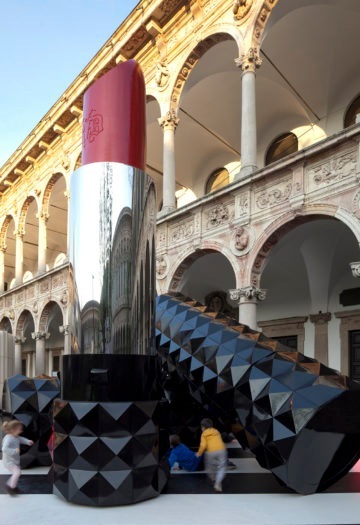 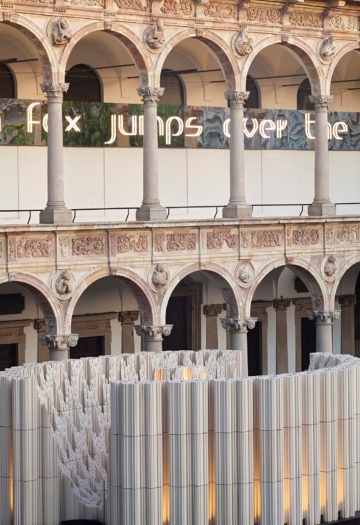 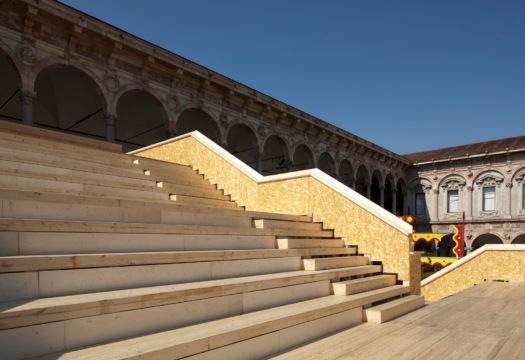 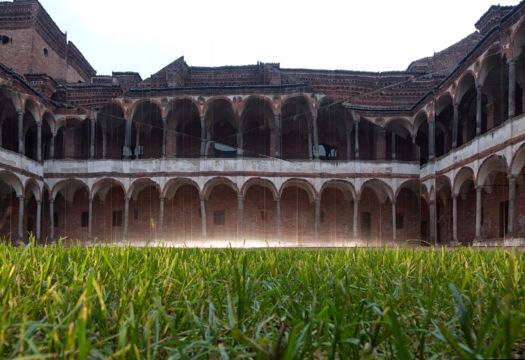 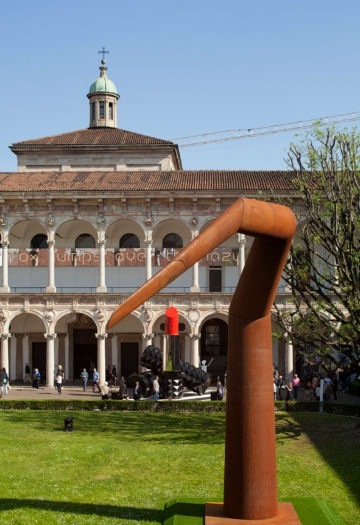 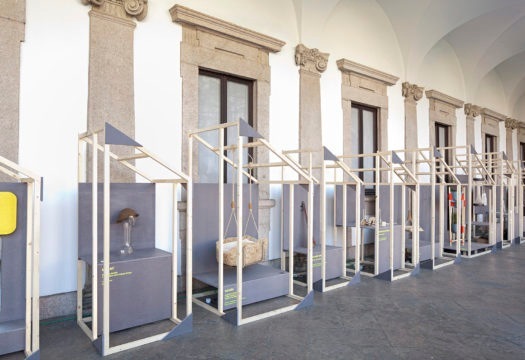 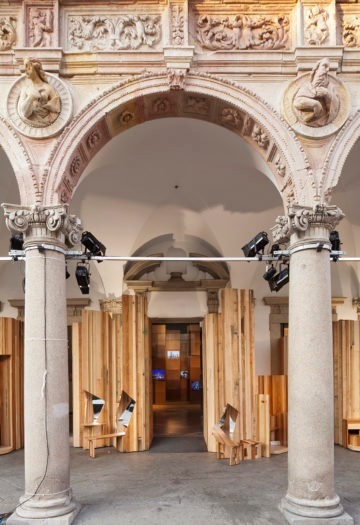 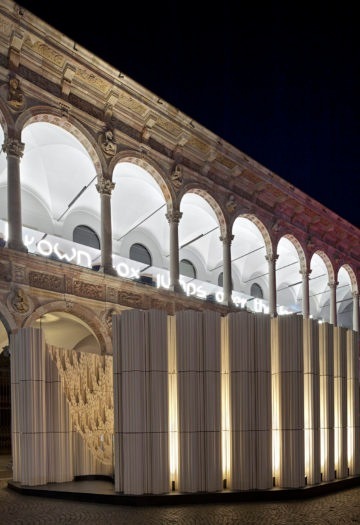 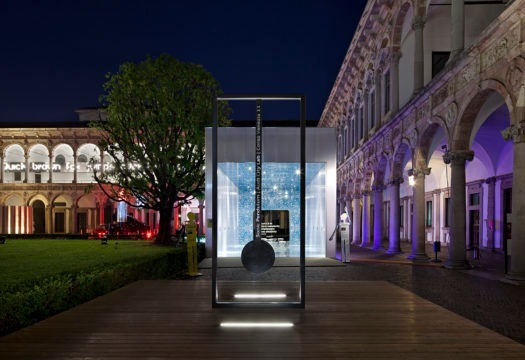 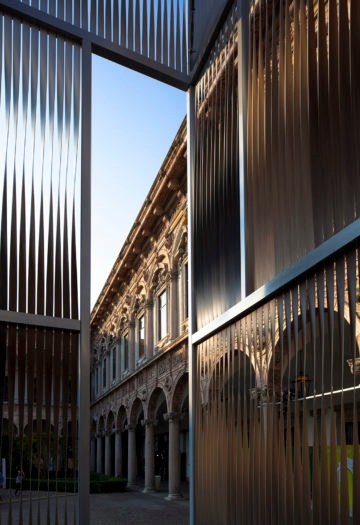 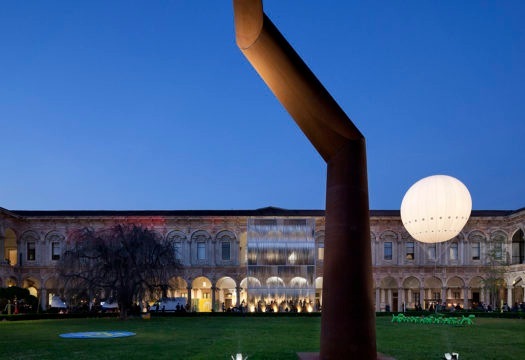 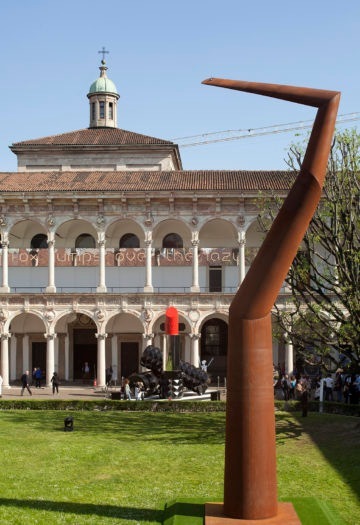 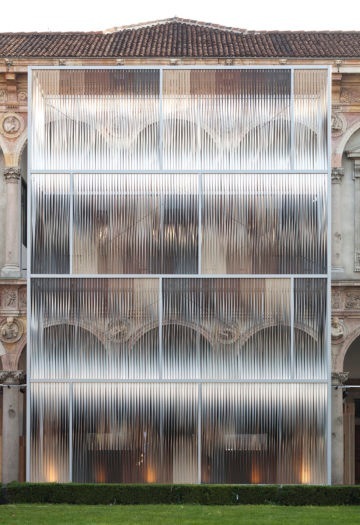 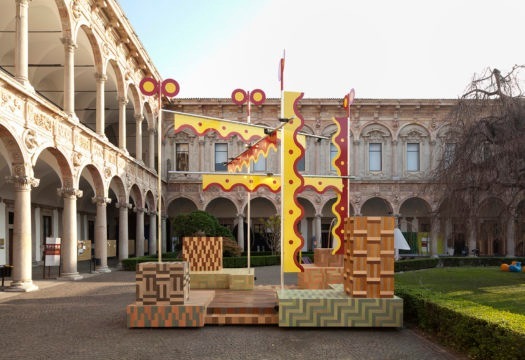 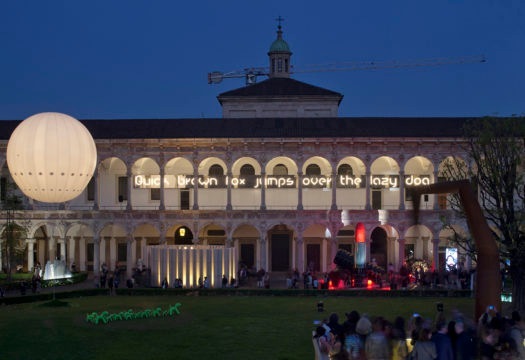 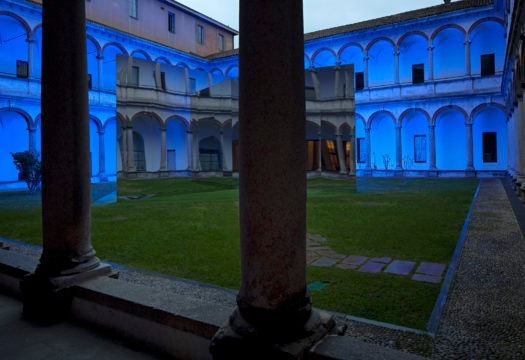 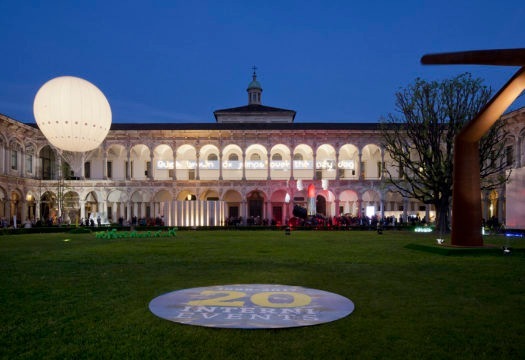 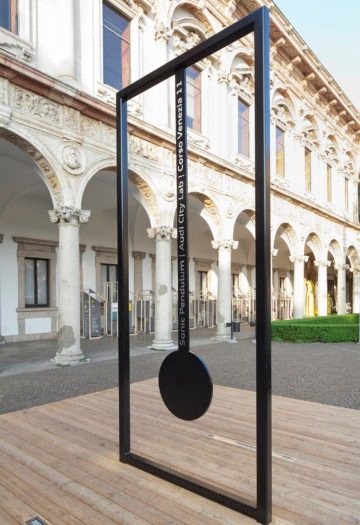 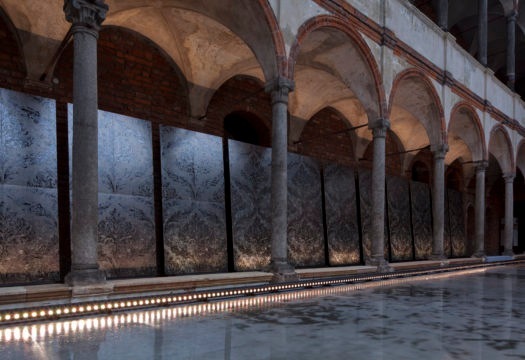 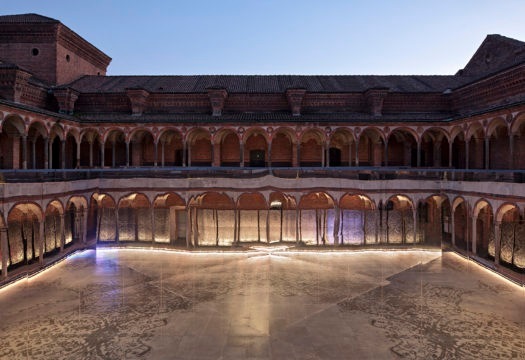 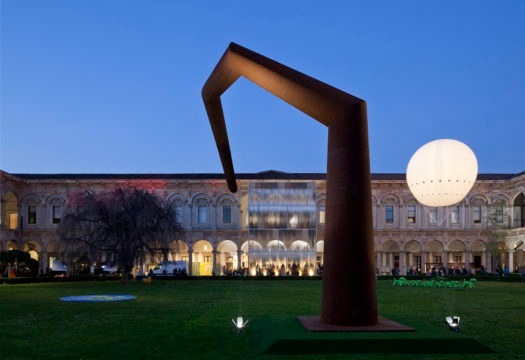 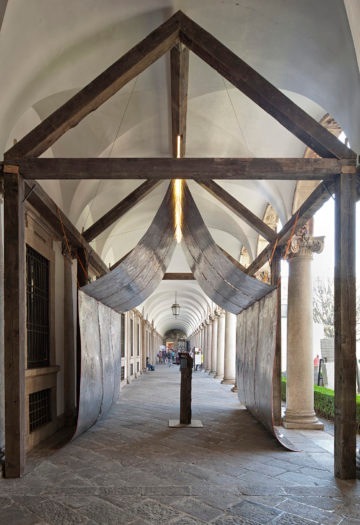 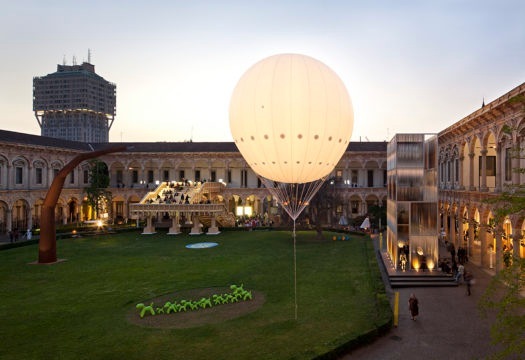 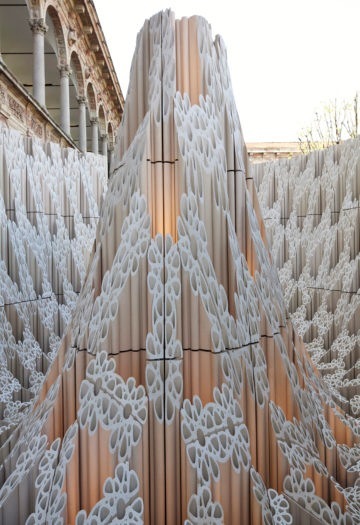 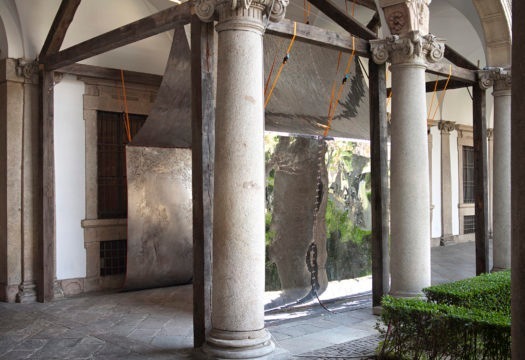 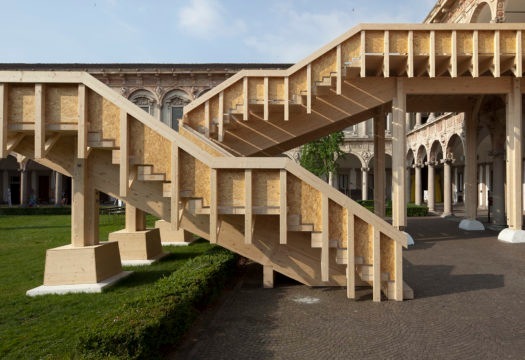 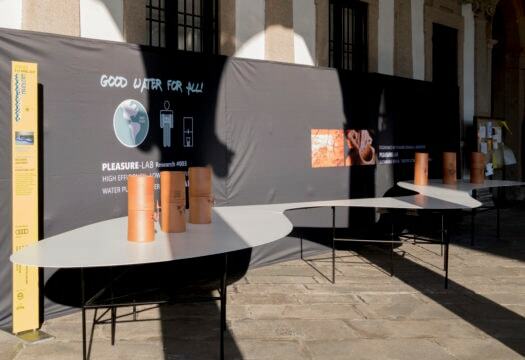 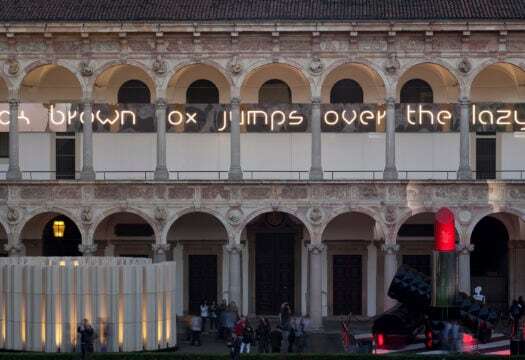 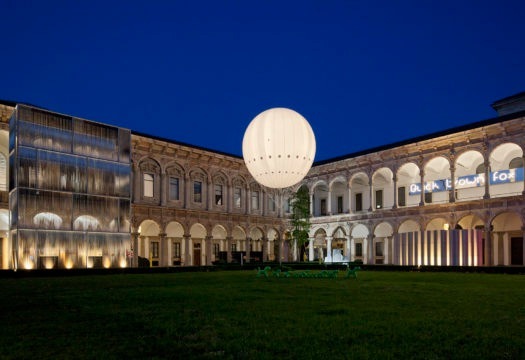 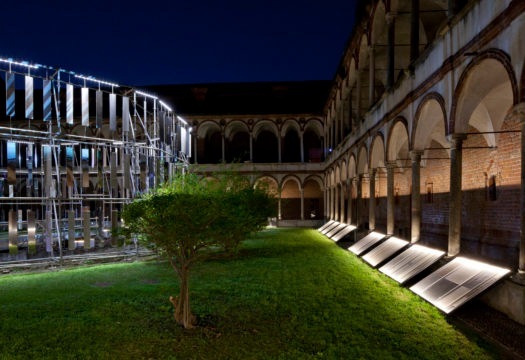 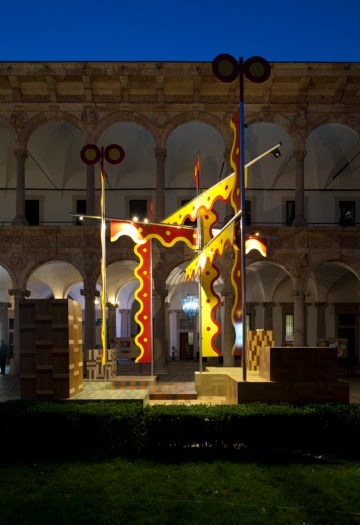 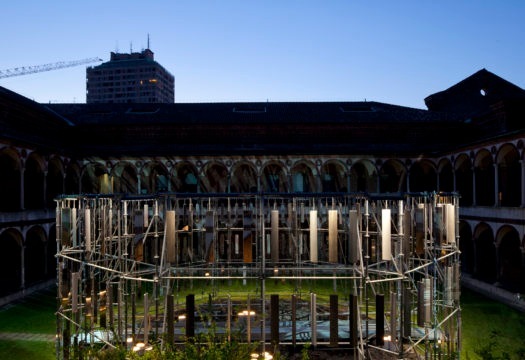 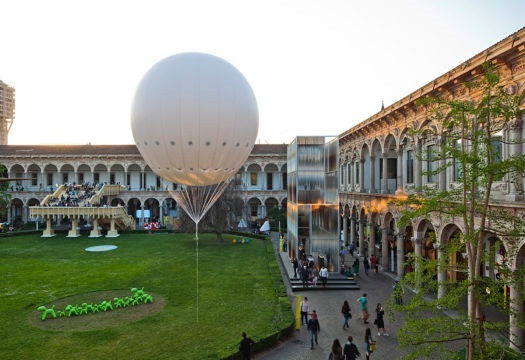 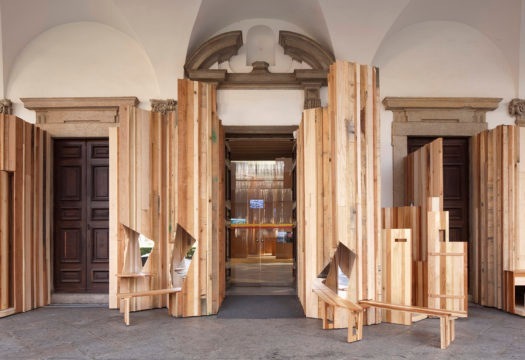 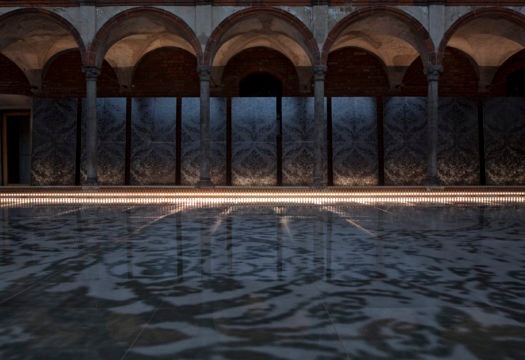 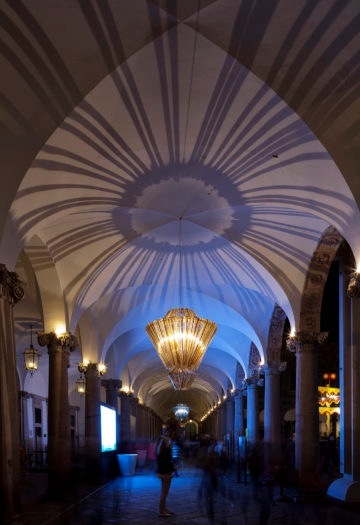 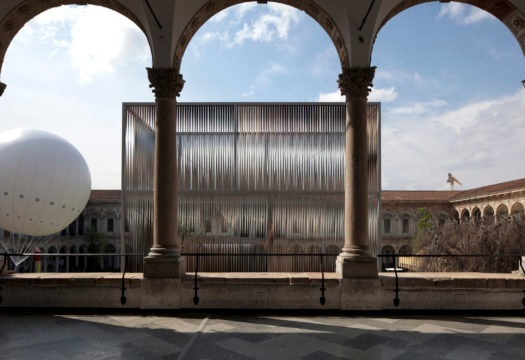 Small design installations enhanced the courtyard of Università degli Studi and embellished the exhibition-event. 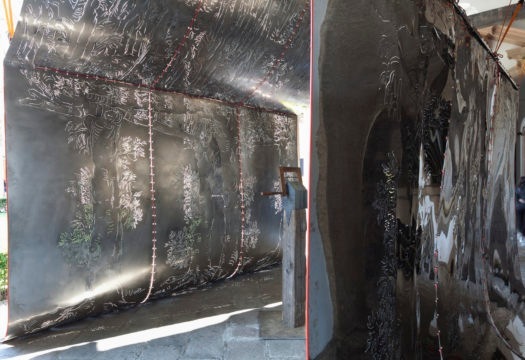 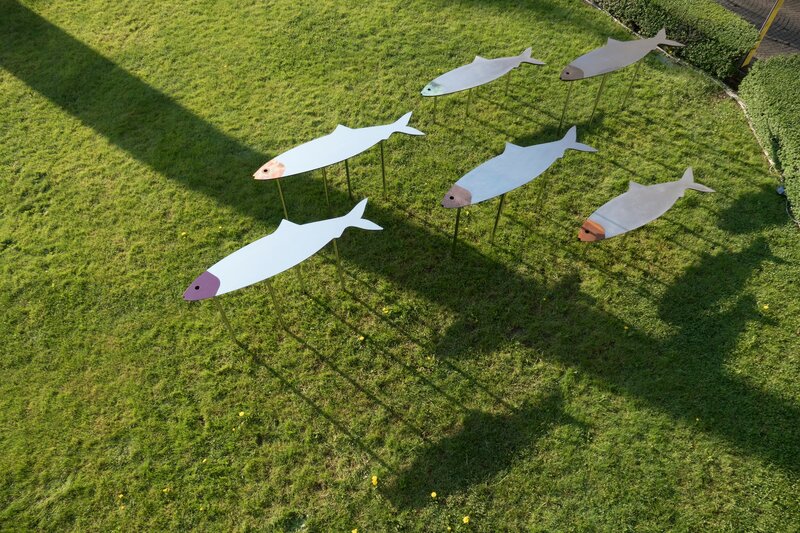 Brazilian artist and designer Alê Jordão, made by recycling metal traffic barriers. 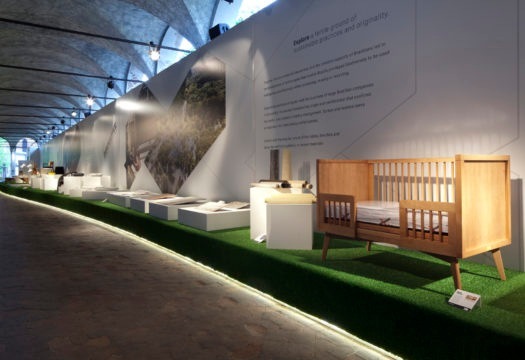 By Emu, the Vetta cot designed by Chiaramonte/Marin. 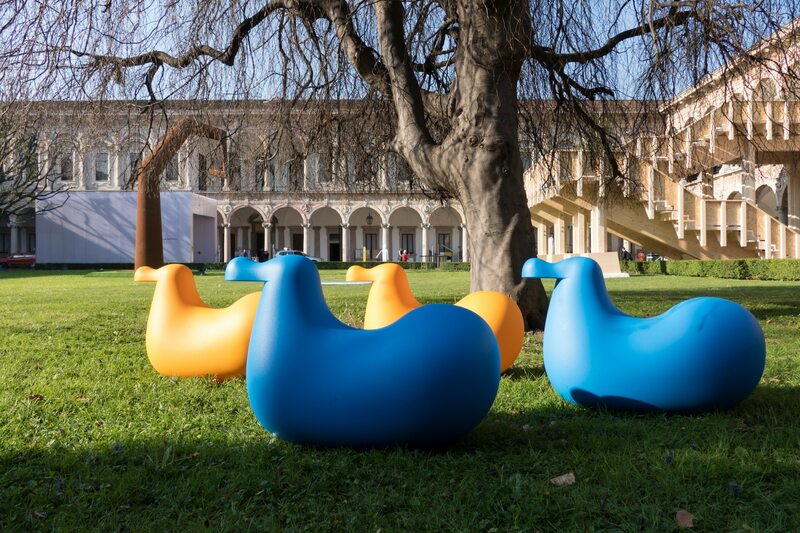 By Magis, the Dodo rocking bird designed by Oiva Toikka for the Me Too collection, produced in rotomolded polyethylene. 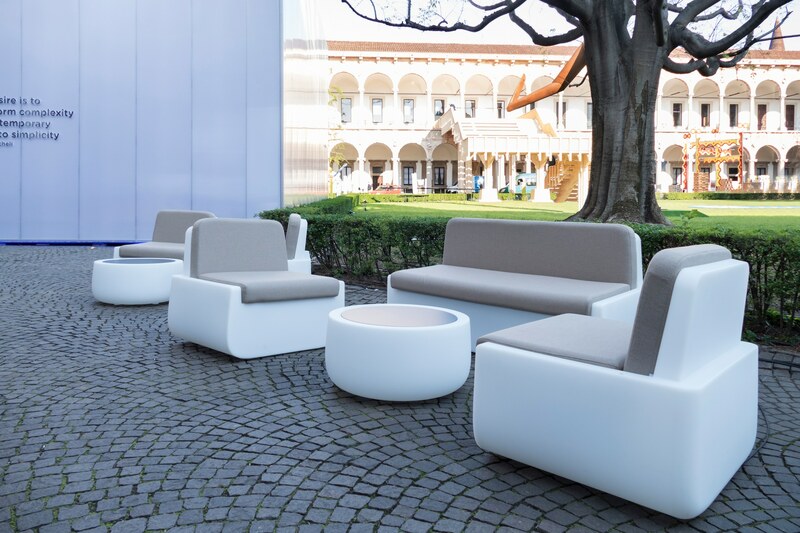 From Plust, the Bold seating family, featuring ample pieces complete with a system of cushions. 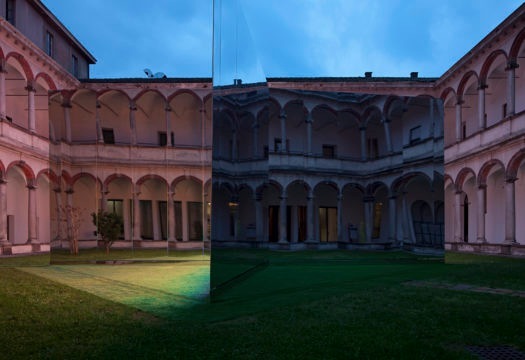 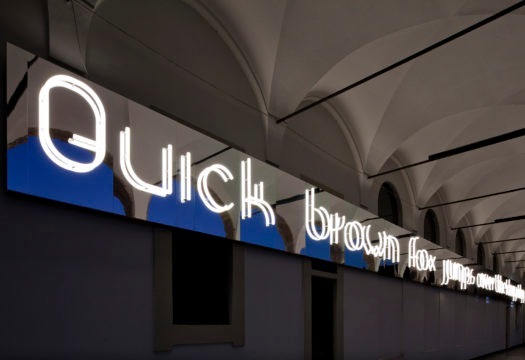 Design Giulio Iacchetti. 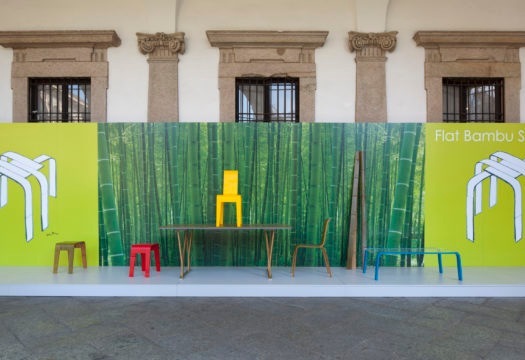 By Qeeboo, the Kong floor lamps in polyethylene with adjustable arms, designed by Stefano Giovannoni, and Mexico, seats with relief decorations by Studio Job. 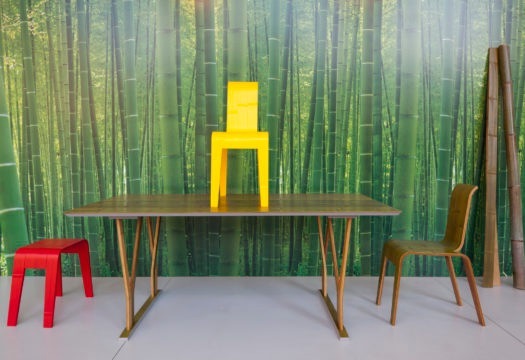 From Royal Botania, the Vigor Lounge daybed and the Nara bench with low table, accompanied by the Palma umbrella featuring an innovative opening system. 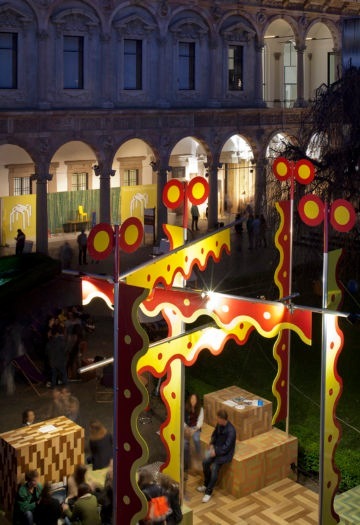 The Omino illustrative totems used in all the locations of the exhibition Interni Material Immaterial were designed by Mario Milana and produced by East End Studios.